This modern bonefish pattern has quickly become a standard for anglers targeting bonefish in a wide variety of locations worldwide, and it is a key pattern for Christmas Island and other South Pacific destinations. 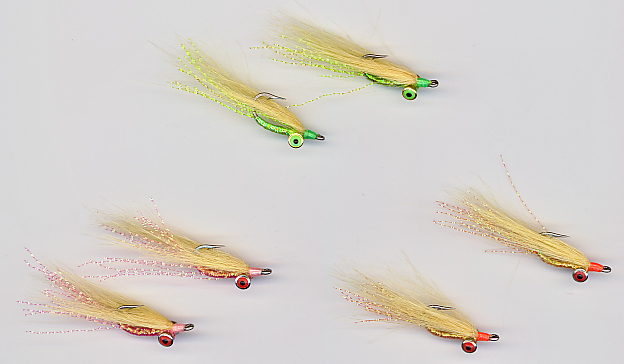 Featuring small weighted eyes, the Christmas Island Special is slightly heavier than many bead-chain weighted flies, helping the angler make effective presentations in moderate winds and medium-depth flats, and adding to the fly's action, making it attractive to agressive bonefish in more remote, lightly-fished locations. See below for size & color reference photo. 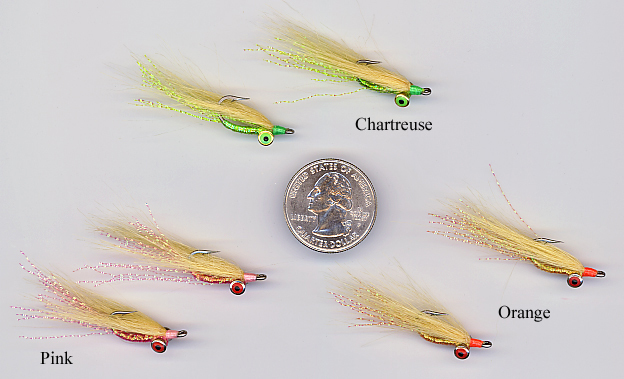 The #6 Christmas Island Special measures approximately 1 3/4 inches long (5 cm). Similar patterns: Bonefish Scampi, Gotcha.